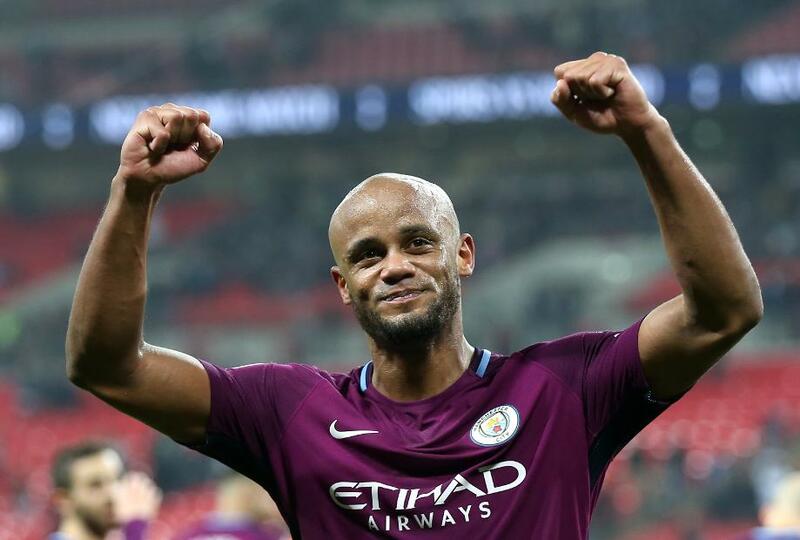 Vincent Kompany is the captain of the Premier League champions for the third time but he is already eyeing more success for him and his Manchester City team-mates next season. City were confirmed as 2017/18 Premier League champions on Sunday, thanks to West Bromwich Albion's 1-0 win at Manchester United. Unlike his head coach, Pep Guardiola, who went to play golf, Kompany watched the match at Old Trafford on TV. Shortly after celebrating the final whistle, Kompany declared that City have the potential to perform even better than the brilliant standards they set this campaign. "I want to see if this team has got it to carry on and be even more successful," City captain Kompany told Sky Sports. "Today I am happy and I suppose my team-mates might roll their eyes at this but I want to see the reaction now. "I am maybe the first one to be thinking about next season but I like to stay humble that's it's not a dynasty; it's just one title. “We are so happy and it's brilliant but there is still so much work to be done before the whole potential of the team is unlocked."